Making the decision to file for bankruptcy is never an easy one for anyone involved. Often the persons involved will make every effort to repay their creditors, with bankruptcy being their last option. If you are considering filing for bankruptcy and debt consolidation this page from Pickering bankruptcy trustee James R. Yanch has information that can help you in the process. In Canada, as an alternative to bankruptcy a person can write a consumer proposal, it is a negation between themselves and their creditors. If the consumer proposal is agreed on the debtor would bake monthly payments to their creditors, up to a maximum of 5 years. The creditors have up to 45 days to decide if they will accept the proposal, often they will as it is a way that they will get more of their money back, instead of when the person files for bankruptcy. 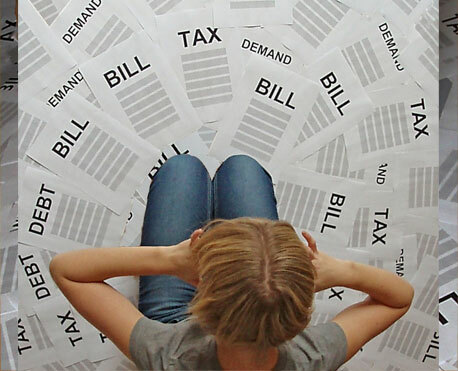 There are some benefits and drawback when deciding whether to file for personal bankruptcy. In the plus side, it is a very quick and effective way to protect you from wage garnishes, collection agencies and legal proceedings. It is first most a way to get rid of some unsecured debt. On the negative side, you may have to relinquish some of your possessions when the bankruptcy is completed, in other words it is unlikely that you will be able to keep all that you have. One of the biggest negatives is that it resets your credit history to zero, so applying for a loan or a credit card may not be possible for a long time. There is a lot of paperwork involved, with you being required to file monthly statements of your income and expenses. You are often required to make payments from your income which will depend on your family size. A good trustee can help you better understand the laws where you are living. There are certain circumstances which will allow you to keep the house that you live in and the car that you drive. There are also specific laws regarding the keeping of your retirement investments as well as declaring bankruptcy on your student loans. It is not a decision to be taken lightly, however if you have decided that it may be the best course for you and your family, make sure you understand all the logistics before you proceed, as this decision will affect you and your money for numerous years to come. Make sure it is the right one.